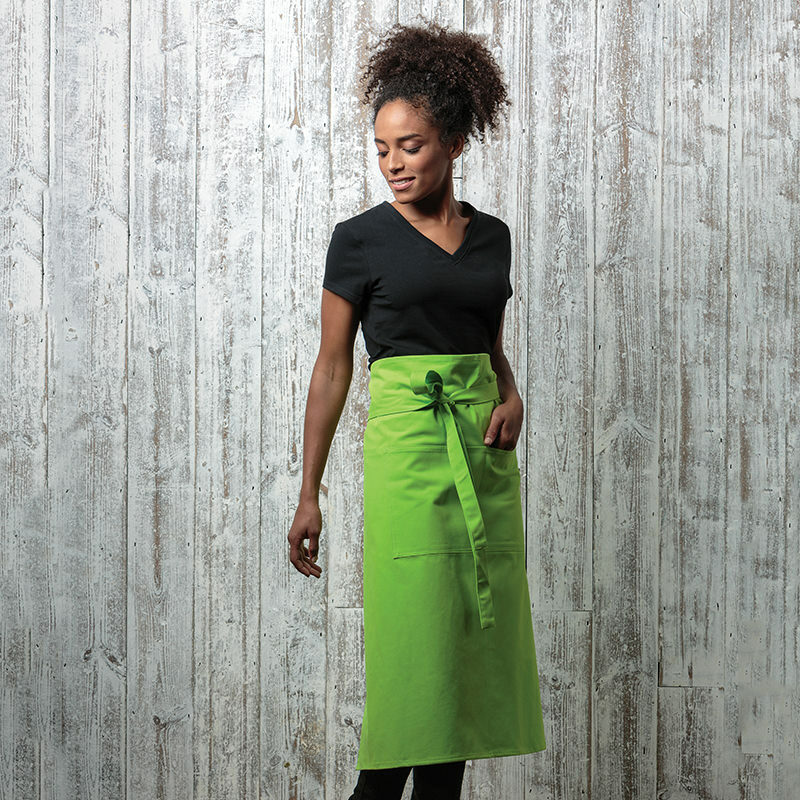 Constructed from 100% heavyweight cotton twill, the bib apron is available in a vast range of colours suitable throughout the hospitality sector. Self-fabric ties at waistband. Double pocket centre front both open. Self fabric waist ties. 60°C wash.